The Doctor is getting married? Are they having the ceremony in the TARDIS? Even more important, The Doctor’s mother is still alive? 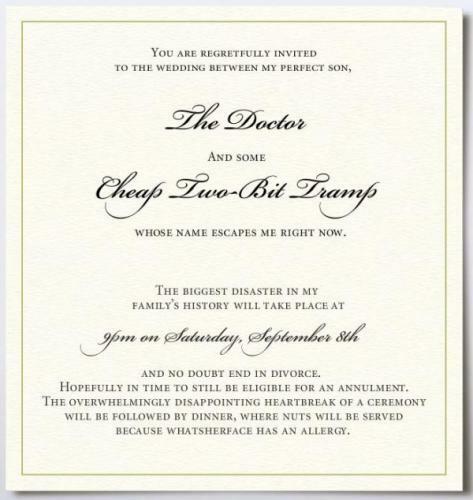 If you read between the lines here, you can see the groom’s mother dislike of the bride. But you have to really read between the lines, and I could be totally wrong.